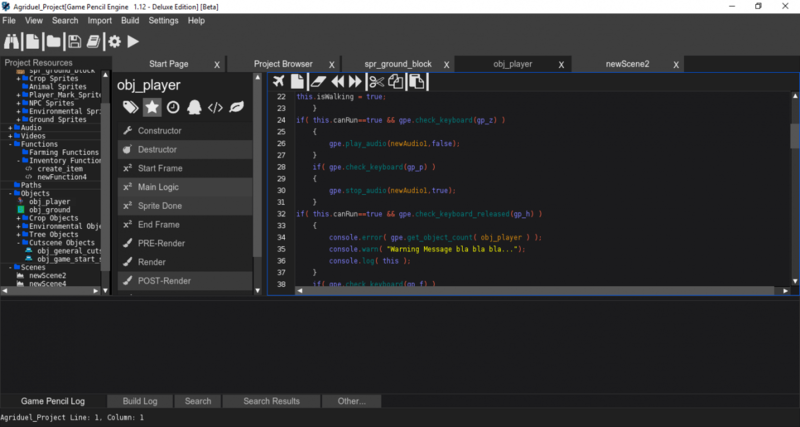 We took the time our to just build our editor on top of our game engine. We love windows, but we love Mac & Linux too. Start off making game scenes, then master logic in our straight-forward engine. With the engine being so lightweight we hope to narrow down confusion. With the best minds around the world peering at our source code, we can't help but improve. 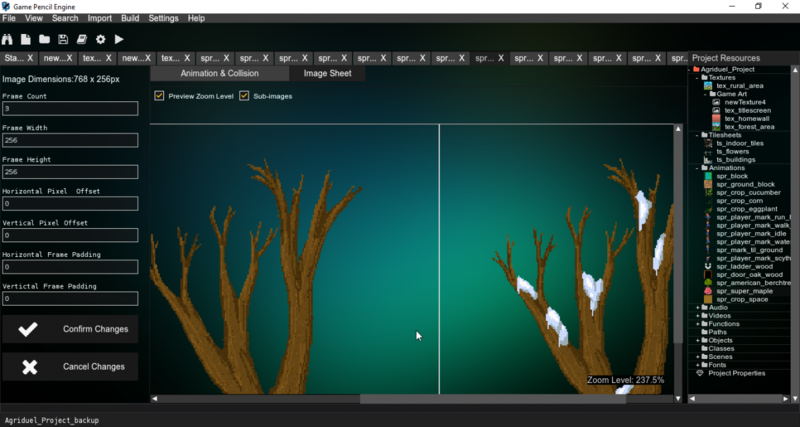 Work on Game Pencil Engine is funded through donations from people like you. We encourage you to please donate to keep work on Game Pencil. Every dollar helps us create new features and reach new platforms. No pesky license or royalties. 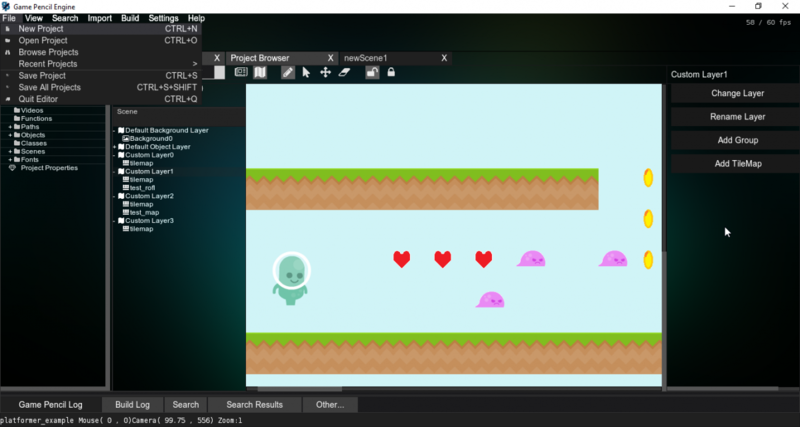 We made this engine to be our top tool for making video games. Just hit download and use it under our quite liberal license. Don’t worry, we don’t care if you get rich using our tech. But we believe it would be the right thing to do to give back by donating to support our engine. 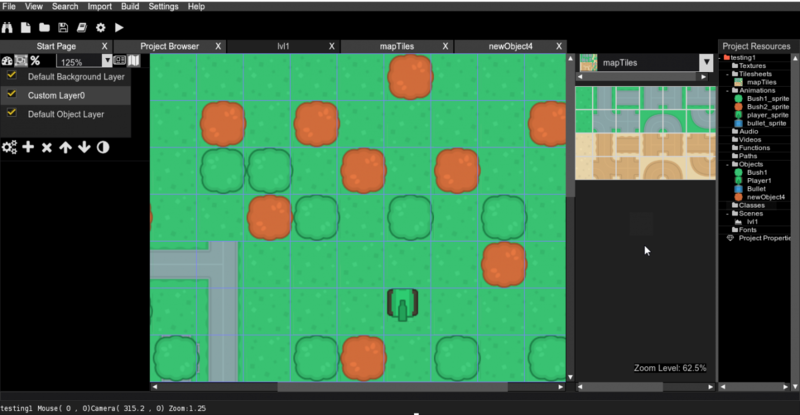 Simply import your beautiful textures, tile-sheets and animations into the editor and get them ready to build beautiful games. The same goes for audio, fonts and custom functions. Make data oriented objects, scenes and more. We make custom scene design as seamless as possible in the Game Pencil Editor. 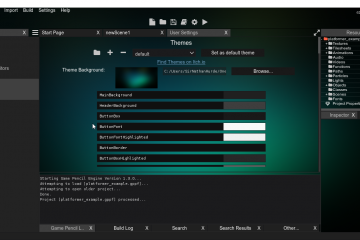 Make Cross-platform games with ease! With planned support for PS4 , Switch, and Xbox One in 2018. So much has changed over the years. 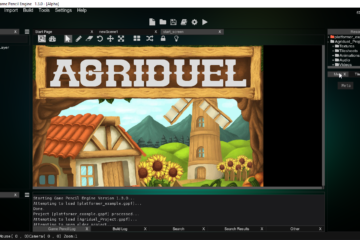 We hate having to wait for updates for our favorite software and games, so release monthly and sometimes more often updates to the IDE and run-times. Just one peak at the GitHub source code will show this is a huge project. Please consider donating to our patreon campaign to help fund future updates to the game engine. Every donation counts and helps the engine alot moving forward. If you donate, not only will you help with the overhead costs of making Game Pencil, you will help us reach new platforms. Open Source then, now and forever! We believe open source technologies should be as easy to use as possible. We believe open source software should do it’s best to be open source. Long gone are the days for open source libraries to only be on windows. If it’s made in C/C++ it needs to have code that is compliant for all platforms. We also hate licenses that force code-modifications to be made public. If we put our code into the world freely, we do not care if they do not return that same initiative. So in other words, we hate GPL and renounce it vehemently. To the best of our abilities we have applied these principals to the Game Pencil Engine and any of our other open source products. Your feedback, issues and testing helps make this engine stronger each day. Do not hesitate on making a request for a new feature. We plan on using this engine for all of our games. We want to make sure those games run as nice as possible and are as easy to make as possible too. Copyright (c) 2014-2018Nathan Hurde, Chase Lee. 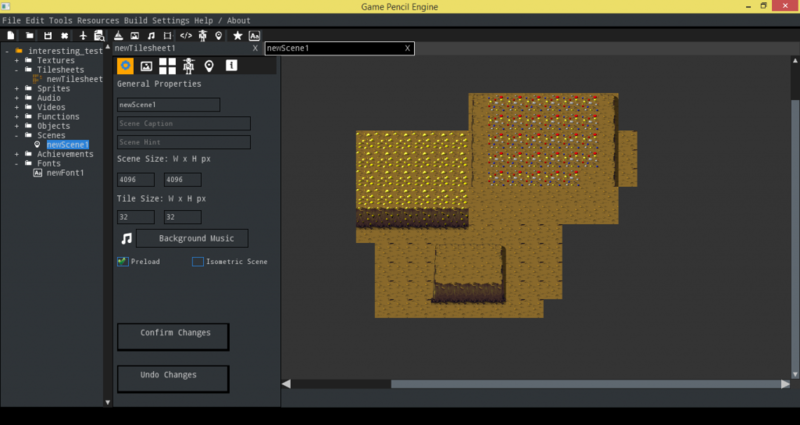 Start using Game Pencil Engine today! Insert branches inside of branches inside of branches and search them quite elegantly. Same resource system, just different compiler. 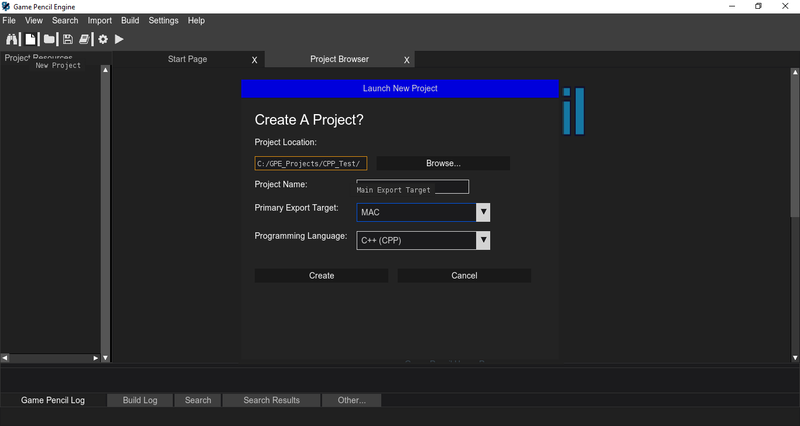 This update will allow projects to be either JS or C++ based. With 8 Panels available you will be able to place menus where you see fit. Simply click the enlarge icon and we will give the code editor most of the tab. 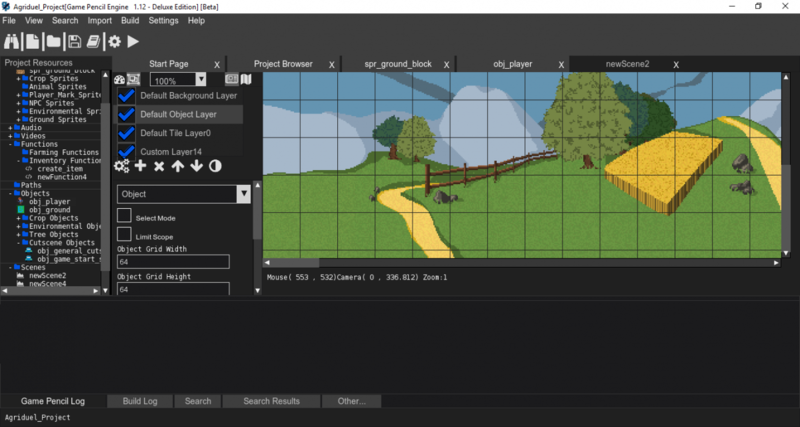 Easily access members of groups within the improved scene editor. Thanks to Patreon & Discord. Once we release 1.3 we don't even know what else to do. So much juicy goodness in store for 1.3. 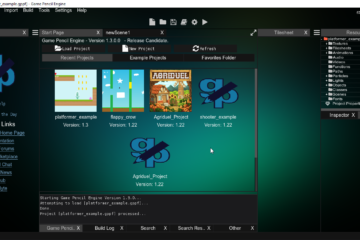 Game Pencil 1.3 is officially in development!